HP has launched two new models in its Chromebook 14 lineup. The interesting thing about these variants is that they are the first Chromebooks to run on AMD processors, which have so far only been running on Intel and ARM-based processors. The base model runs on the new 6W AMD A4-9120C processor, with 2 cores/2 threads, 1.6GHz base clock/2.4GHz boost clock, and Radeon R4 graphics. It has a 1366x768 resolution display. The more expensive models runs on the new 6W AMD A6-9220C processor, with 2 cores/2 threads, 1.8GHz base clock/2.7GHz boost clock, and Radeon R5 graphics. It has a 1920x1080 touchscreen display. Both models have 2x USB-C ports and 2x USB-A ports, 32GB eMMC storage and 4GB memory. They weigh 3.4lb and have a battery life of 9 hours and 15 minutes. The base model is priced at $269 and the more expensive model at $299. 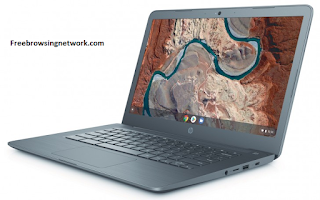 Comment on "Tech News - HP launches the first Chromebook with AMD processor"